"I wonder why someone didn't do something. Then I realized, I am somebody." Kris: "I'm concerned about my kids exposure to pesticides being sprayed on lawns in our neighbourhood. 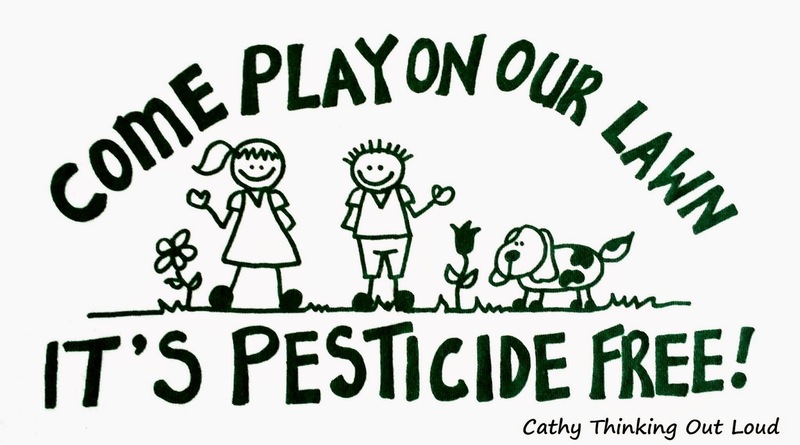 I'm thinking of starting an awareness campaign and putting together information on the health effects of these chemical pesticides, as well as alternative lawn care options. Is anyone else interested in being part of this?" Cathy, Maureen and Kirsten: "Yes!" Our goal was two fold: increase awareness about the effects of pesticides, and offer effective alternatives to pest management and lawn care. Each of us had different skill sets and contributed in different ways. I designed the signs, t-shirts, and applied for the grants. Others made signs, researched and wrote the pamphlets, or acted as campaign spokesperson and media contact. Together we managed to create 3 pamphlets, each delivered to more than 1500 houses, make and deliver more than 600 signs, distribute more than 100 t-shirts, and successfully apply for 3 different funding grants. We spoke on the effects of pesticides, a need for a ban, and about lawn care alternatives to our Community Association, at City Council meetings, to local Girl Guides, and set up information tables at local events. We were featured on local TV and radio, and in newspapers, including The Globe and Mail. "Outside, a homemade wooden sign on the front lawn sums up her (Kirsten Devenny) philosophy. 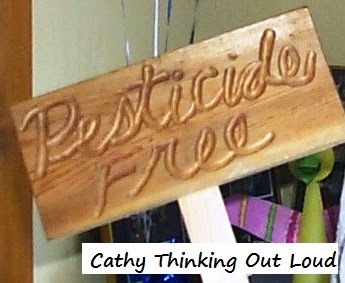 It reads, "Pesticide Free." ... Over coffee in her living room, Mrs. Devenny discusses the use of pesticides on lawns with her neighbours Kris Wong and Cathy Canton. These stay-at-home moms have banded together to promote pesticide-free lawn care in their leafy Nepean neighbourhood of Crystal Beach. They're concerned about the effects of pesticides on the health of their children..."
Chemical pesticides for cosmetic purposes on privately owned land were banned in Ontario in 2009. What does this have to do with youth and change? 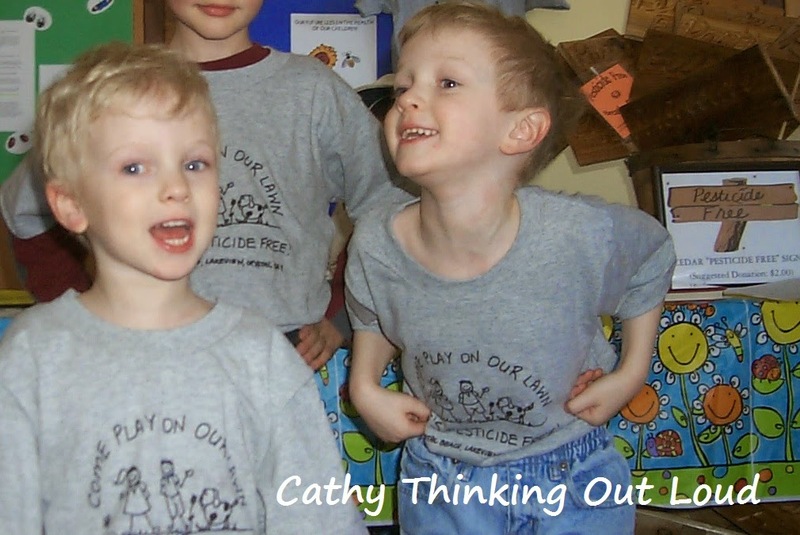 Well from the time my kids were toddlers they saw me involved in efforts to make my world a better place. All of our kids were there when we met at playgroup for strategy meetings, or went to the printers to pick up pamphlets. They helped us deliver pamphlets and signs throughout the neighbourhood, and were there for the TV and newspaper interviews. They were central to all of this because ultimately it was about them. I like to think that by setting an example we "planted the seeds" for our kids to grow into critical thinkers, and engaged citizens of Canada and the World. I hope through our actions they learned they have a voice, and the power as one individual to bring about change. It is imperative youth understand how their local actions can have a huge global impact, and that they must be the "somebody to do something". At the time of the Breathe Deeply Campaign there were no apps, smartphones or tablets, but now there are, and lots of ways youth can connect and help to bring about change and awareness. The We365 app was developed by Free The Children and TELUS to give youth a way to connect, track volunteer hours, and accept challenges to bring about awareness and change. It is a platform that makes sense to youth and they are comfortable with; an app and social media. So to celebrate National We Day, youth and their high hopes to make the world a better place, why not join the one action per day movement. and start moving those rubber tree plants! 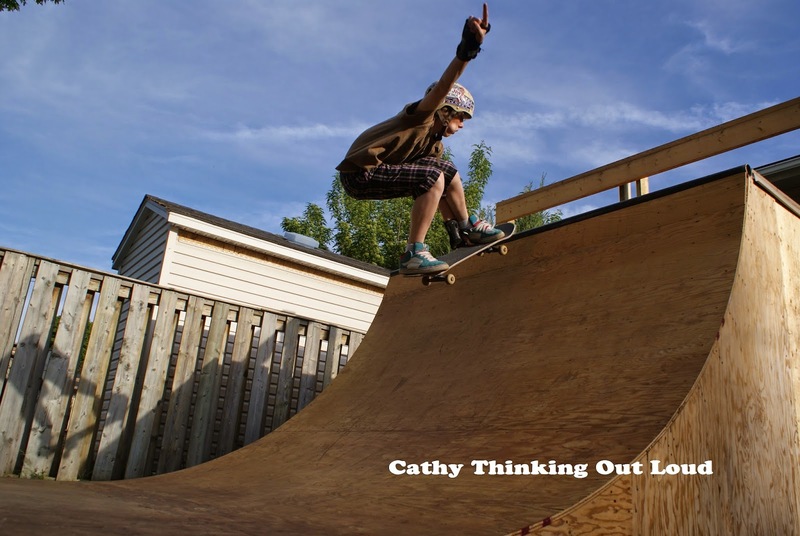 Yep, just me Cathy thinking out loud about National We Day and WE365 app. 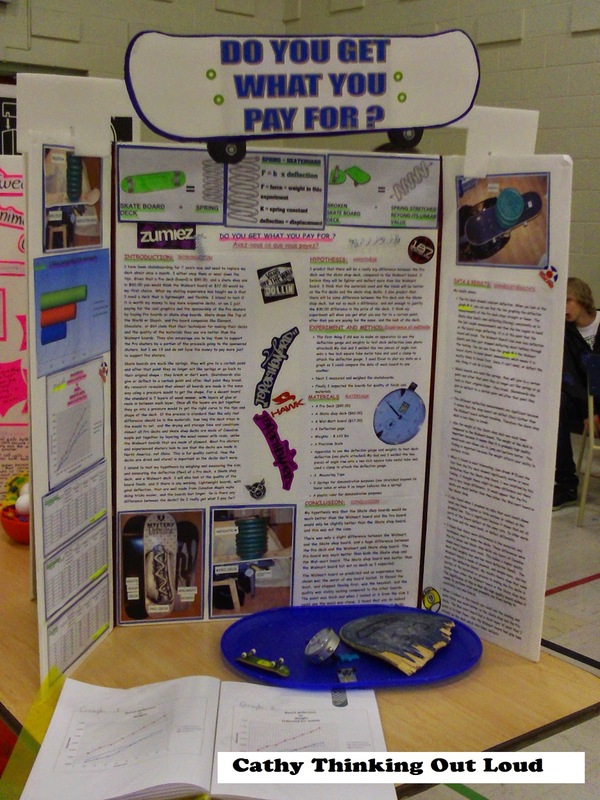 NOTE: I was not compensated for this post, but am an invited guest of TELUS to National We Day 2015. In support of We Day I choose to post about my experience, but am not obligated to do so. In my mind cooperation between organizations like Free the Children and brands like TELUS is something to be supported. I strive to live by their motto "Give Where We Live" not just when presented with opportunities to do so, but also by making opportunities to do so. I regularly have conversations on social media and in real life with friends and family about which TV shows, or movies are good to watch. So I thought why not share these recommendations on Cathy Thinking Out Loud once a week, on Wednesday (aka #W2WW). Be sure to let me know what you think, and or your suggestions in the comments section. This week I am recommending a new Netflix Original series called Unbreakable Kimmy Schmidt. I love clever comedy, and this is certainly that! Hope you enjoy it as much as I did. I can't wait for more episodes! I believe I have found my true vocation; to be on vacation full time. 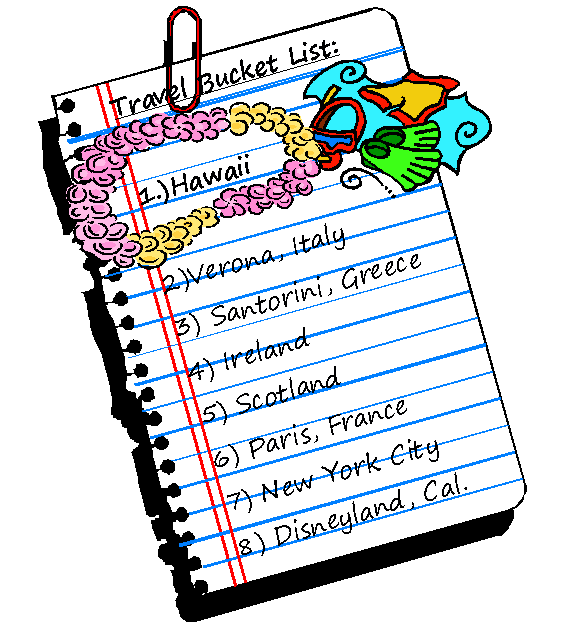 If money, time and commitments were no object then I would start to tick off all the places on my Travel Bucket List one by one, starting with a return trip to Hawaii. 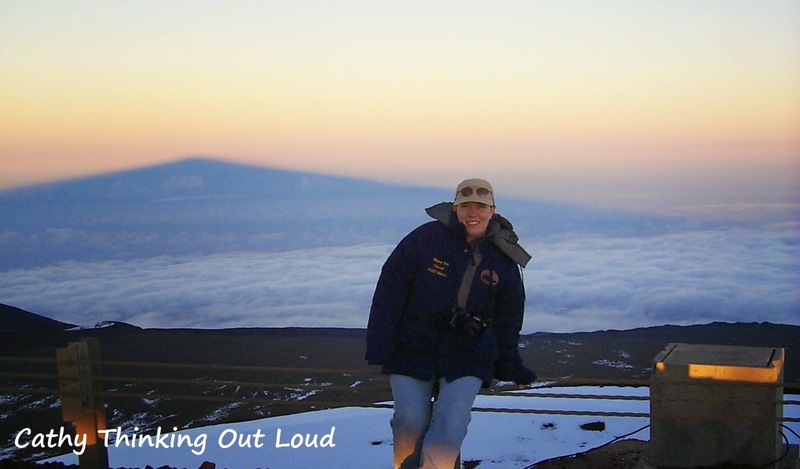 In 1999 my husband and I spent 5 wonderful days on the Kohala Coast of Hawaii on a work related trip. My kids were both under 3 at the time and we felt it would be better for all concerned that they sit this one out, so we did not bring them with us. We snorkeled right off the hotel beach and it was AMAZING! Beautiful fish, giant sea turtles just swimming by. I vowed that some day I would come back with my kids and experience this with them. They are teens now, and I think they are at the perfect age to appreciate the adventures of snorkeling in the morning, and visiting snow top mountains to see the giant telescopes in the afternoon. We stayed at the Mauna Lani Bay Resort. This is what I want to do with my kids! Although this is not my picture, when my husband and I walked into the water from the hotel beach and swam out about 5 minutes this is exactly what happen! It was simple amazing! It's an experience I want to share with my kids. 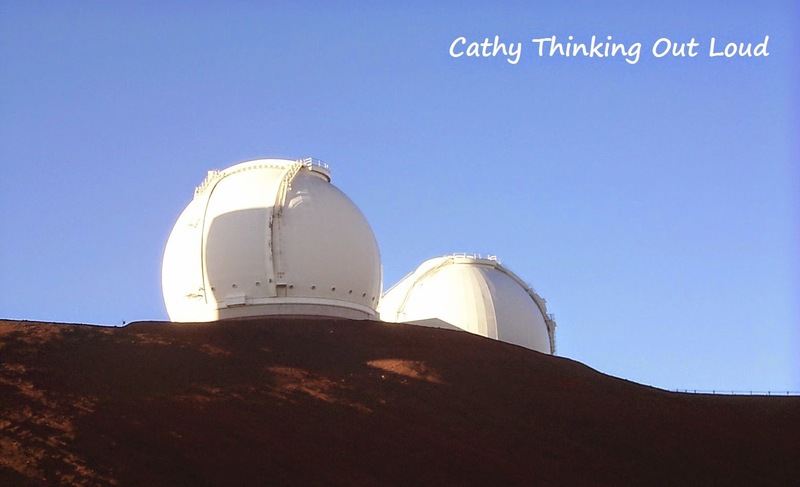 Besides the gorgeous weather, and the snorkeling, tours up to the Mauna Kea Observatories, or as I like to refer to them "the GIANT Telescopes" are available. Interestingly Canada has a hand in the operation and governance of 3 or the 13 telescopes at the Mauna Kea Observatories. Hawaii makes for so many one of a kind lifetime experiences and that's why it's at the top of my Travel Bucket List! I truly hope we make it back someday with the kids. 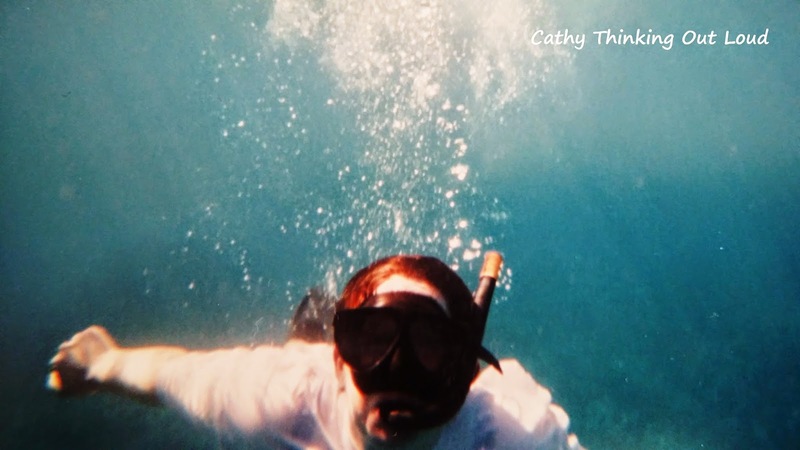 Yep, just me Cathy thinking out loud about my travel bucket list. Note: I was not compensated for this post in any way. The purpose of this post is simply to share my experience with my readers. We all know the minute we drive a new car off the lot it depreciates. A few metres of mileage takes it from new to used. Not because it isn't working or under warranty, but because a new car like many things comes with what I like to call a "new premium". That premium often means the buyer is getting the latest model or specific features or colours they want. Sometimes this makes sense, but sometimes buying used or refurbished and letting someone else pay the "new premium" for you is the answer. As with buying a used car, buying a refurbished computer means someone else has paid the "new premium" on that computer. Over the years we have bought several refurbished laptops and desktops. My in-house IT team (Engineer Hubby & two tech-savvy teens) are quick to weigh the pros and cons of new versus refurbished, but finding refurbished items has been a bit hit and miss, and we mostly just happened upon them. There is a new site called refurb.io that specializes in refurbished electronics. This makes finding and comparing their refurbished products fast and easy. 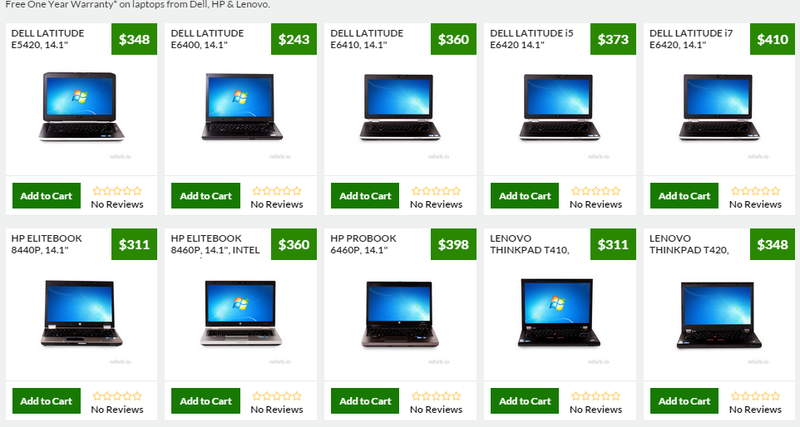 They carry top brands like Dell, HP, IBM and Lenovo, and additional products are being added all the time. They are ISO 9001 Certified, a Microsoft Authorized Gold Certified Partner and Microsoft Authorized Refurbisher. Image via refurb.io (as of March 20, 2015 7:30 pm est) Inventory and price subject to change. Your refurb.io shopping experience is made easy and convenient with available shipping to all provinces and territories, a free one year warranty on the products they sell. (see site for specific warranty details) and both credit card and PayPal payment options. What is the budget, and expectations for product life? How much do you have to spend and how long does it need to last you? What will you be using the product for? For example in the case of a computer is it for school projects, email, social media, streaming videos, gaming or all of the above? Where will you be using it? At home, school, work, travelling, at Starbucks, or a combination of these? Answering this question will help to determine how portable it must be, as well as the ideal weight and size of the device. It will also help to determine what if any accessories are appropriate. Who is going to be using it? Is it just for you, or to be shared with family, and more specifically kids? If it is to be portable and used by kids then durability becomes important. Some of the business oriented laptops lines may offer more durability as they are made to withstand the wear and tear of travel. Environmental Impact and Footprint: One additional but important point and thing to consider when buying electronics is the environmental advantages to buying refurbished and to properly recycling electronics. Having the newest and shiniest has to be weighed against the impact this has on the environment. Opting for a refurbished computer helps to reduce the impact and the amount of electronic waste that needs to be processed, or worse ends up unprocessed in landfills. Once you have answered these questions you're in a good position to start your search. Be sure to check out reviews of products you're interested in. This is a worthwhile time investment, since reviews often reveal hints why a particular product may or may not be a good fit for you. For updates and more information about refurb.io be sure to follow refurb.io on facebook and refurb.io on twitter. Yep, just me Cathy thinking out loud about refurb.io. Note: I was compensated for this post and an honest review of this site as I experienced it. All opinions are my own and reflect my personal experience with the brand and product. and ask him to do a science fair project? Science is all around us, and in everything we see and do. Getting kids to see this and take an interest in science can sometimes be tricky, but if we show them the science in the things they are passionate about it becomes a much easier task. 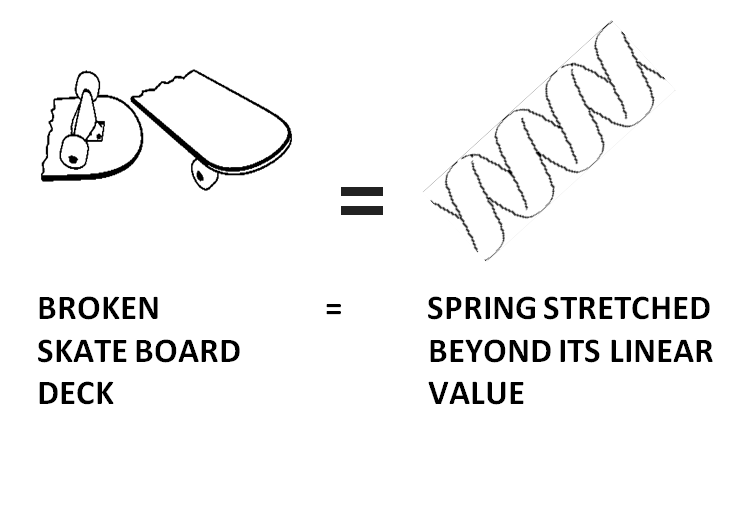 Luckily for me there's tonnes of science and math related to skateboarding. It is so important to get kids at a young age interested in the STEM (science, technology, engineering, math) subjects and for them to understand how they impact and affect our daily lives. It is vital information if one is to build a mini ramp in one's backyard. Just ask my son, who was required to research and help calculate the measurements, angles, slopes and materials required for the mini ramp seen in the photo above. These were the conditions to get his dad to agree to build it with him. March is a perfect time to watch some of the many science related shows and documentaries and introduce your kids to the wonders of science. Below are just a few you'll find on Netflix Canada. There's a lot of science in baking! My hypothesis is this Cinnamon Bun Monkey Bread would not last long in my house! Before I can draw any conclusions I'll need to collect some data by appointing myself chief taster! For news and updates about what is #NowOnNetflixCA be sure to follow Netflix Canada on facebook and Netflix Canada on twitter. If you would like to see other team member's posts simply follow along on twitter with the hashtag #StreamTeam. We share about a new theme every month. 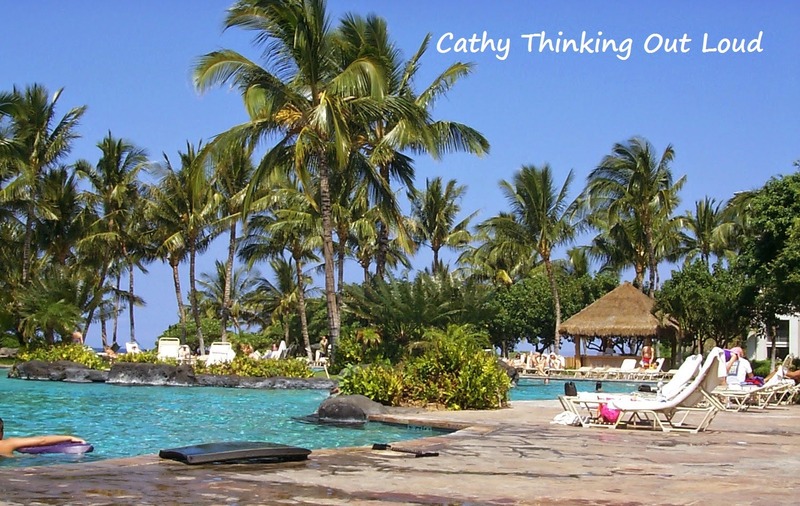 Yep, just me Cathy thinking out loud about Netflix #StreamTeam. Note: I receive Netflix and a streaming device free of charge for the purpose of my Netflix StreamTeam reviews and posts. All opinions are my own. I regularly have conversations on social media and in real life with friends and family about which TV shows, or movies are good to watch. So I thought why not share these recommendations on Cathy Thinking Out Loud once a week, on Wednesday (aka #W2WW). If you have a suggestion I would love it if you shared it with me in the comments section! "I'm feelin' hungry today!" hungry for more House of Cards. House of Cards Season 3 is available on Netflix Canada as of February 27th, 2015. Note: I have not been compensated for this post. All opinions are my own, and the purpose of this post is merely to share with my readers. 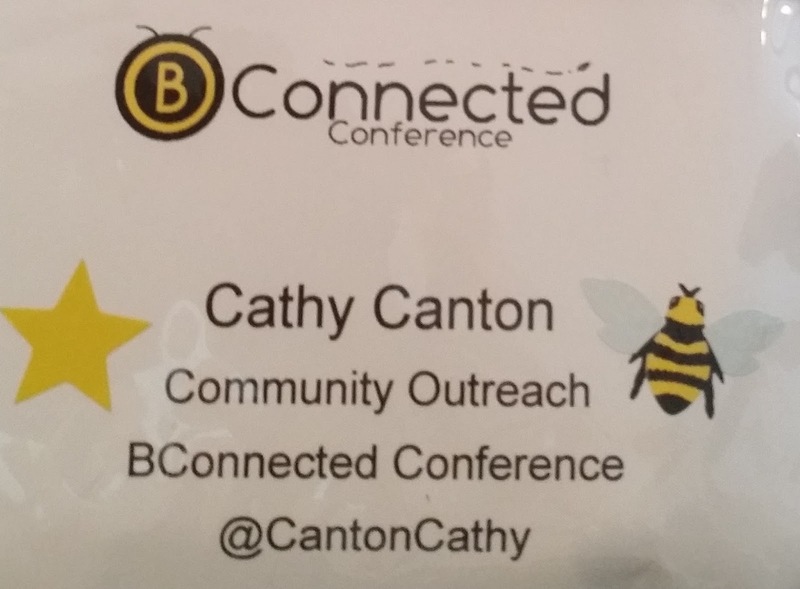 Cost-Benefit Analysis: Attending @BConnectedConfer - An Investment in My Professional Development. Why Attend the BConnected Conference? Prior to my 20 year career as a SAHM I worked in banking, so doing a mental balance sheet and cost-benefit analysis isn't unusual for me. It's certainly a worth while exercise for any business investment including contemplating attending a blogging conference. With the BConnected Conference fast approaching I'm once again thinking about the benefits (many of which are intangible) compared to the time and financial investment to attend a conference. 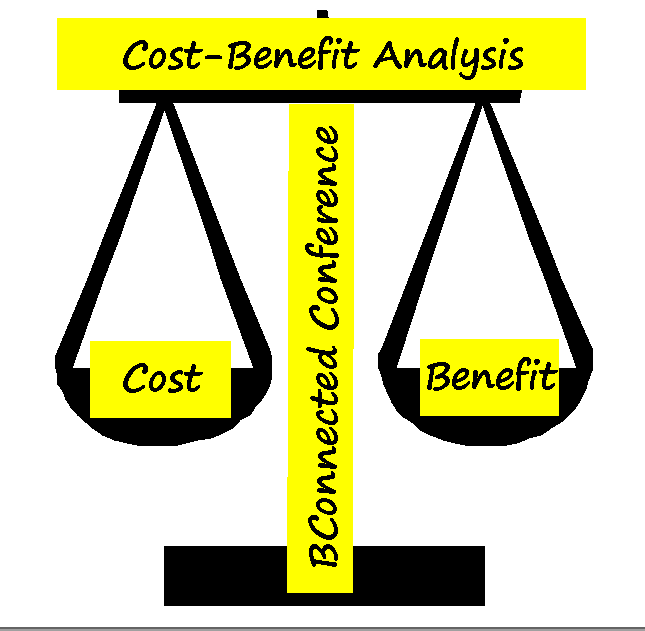 The concepts of a cost-benefit analysis are pretty straightforward and applying them to attending a conference such as the BConnected Conference helps me to easily see the whole picture. In my opinion investing in my professional development always ends with a net gain even if the gain is not immediately realized. List the potential costs and benefits in a common currency in order to compare and analysis. Compare and analysis the costs and benefits, including possible positive and negative impact on both the participant and non participants, and risks. Brainstorm over possible ways to increase the benefits decrease the costs and reduce or minimize the risks. the cost of the BConnected Conference ticket (there are a variety of ticket promotions and options that may reduce this costs). misc expenses such as parking. travel expenses (airfare, gas, train, etc). time away from family, and potential child care costs. cost of or potential loss of income for time off work for travel and the conference. risk of stepping outside your comfort zone. risk of experience not being what you expected. (this risk as well as the comfort zone risk can be reduced by some research into what to expect, managing expectations, and putting mechanisms in place before hand). Note: some of these costs may be eligible to claim on tax return to offset expenses against earnings and thereby reducing the overall costs of attending. 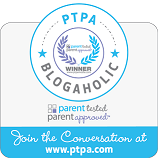 an opportunity to engage with and be part of a group of follow bloggers in real life including the BConnected Team. (chance to establish support groups, mentors and potential partnerships). a full schedule of excellent speakers and panels to learn from. (an investment into your professional development). an opportunity to network with brands, sponsors and other bloggers (chance to brand and showcase yourself, make contacts that have potential to lead to increased sales income and partnership opportunities). a chance to step outside of your comfort zone. (it is important to grow, and challenge yourself. This can sometimes be difficult when your job is mostly online). a chance that even if it is not what you expected it may be even better. (there is always something to be learned and to take away from each situation. Manage expectations and then be a sponge and take all the good from this experience you can). increased social media exposure. (it is easier to do this when a group is sharing on social media under a specific hashtag, and increased engagement). a clear message that you are taking yourself and your blog seriously enough to invest the time and money into making it better. (by an actual monetary investment in you and your blog you are demonstrating to yourself and others both are worthy of that investment). the expenses can be potential tax deduction or offset to earnings. provides a legitimate reason to get the much needed business cards you have been putting off. (you definitely need business cards for a conference). a chance to feel part of a community. (you will never read a tweet the same once you have met a person in real life. It changes the relationship and in my experience it changes for the better). a way for others (non participants aka friends and family) to see that this is a job, not just a hobby. When you are at the computer you are not "playing on twitter" you are a brand and business and should be treated as such). a chance to get away on a business trip at a beautiful venue that doesn't have to include family, but can if that is what works for you to increase benefits and reduce costs. for me the biggest benefit for attending a conference is it forces me to decide whether I am serious about this or not. Nothing like a cash investment to get you to focus. Three months after I started blogging I attended my first conference. It was terrifying but it also changed everything; not just how I and others looked at my blog but also how I looked at myself. I saw all around me strong independent men and women doing their thing and that was inspiring. I also realized by talking to others at these conferences there were quite a few who saw me the same way; strong independent and doing my thing. The BConnected Conference 2017 is being held April 22-23, 2017 at the Renaissance Toronto located in the heart of downtown Toronto. Isn't it time for you to look at the benefits of investing in your own professional development. In my opinion the benefits far outweigh the costs. Conference #2 under my belt. BConnected Conference - Different but equally great. Be sure to subscribe to the BConnected Blog and follow BConnected Conference on twitter and BConnected Conference on facebook to stay up to date on all the news. Yep, just me Cathy thinking out loud about the BConnected Conference. 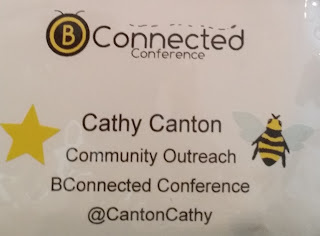 Note: I am part of the BConnected Conference 2015 Community Outreach Team. As part of that team I received a complementary pass to the conference but am under no obligation to write a post about this conference. All opinions are my own including previous posts on my experience at BConnected Conference 2014 for which I attended at my own expense.